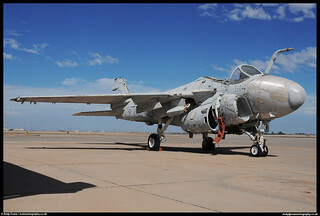 On the ground at NAS El Centro, the fire section BDRT bird. During it's operational life it was on strength with VA-42 "Thunderbolts" who disbanded in 1994. Prior to 1992 they were known as the "Green Pawns".